Sometimes it can be challenging for new beginners to point out the differences between the medical certifications. 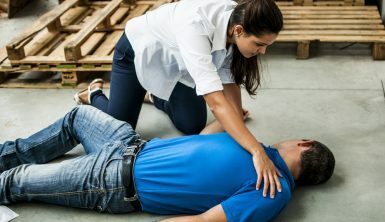 For instance, ACLS certification (Advanced Cardiac Life Support) and BLS certification (Basic Life Support) are similar and have the same objectives of learning the right techniques to help in saving the lives of people in cardiac arrest. However, beyond this, the two courses mark some differences that regulate how they meet this overarching objective. The foremost difference between the two is their advancement level. BLS covers the basics. 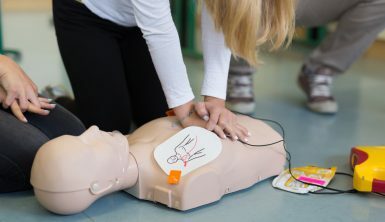 It is intended for people who need to know the basic AED, CPR and the primary life-saving skills like relieving an infant or an adult from choking in a timely, safe and effective way. It is mostly performed in situations which occur outside of a hospital environment and therefore it does not require a healthcare professional. It can be done by coaches, teachers, lifeguards, police officers, aides, residents or fellows, babysitters or childcare professionals and other individuals working with large groups of people. It can also be taught to the licensed or on licensed, certified or noncertified healthcare providers. The class agenda involves video instructions, hands-on manikins, lectures, and tests. 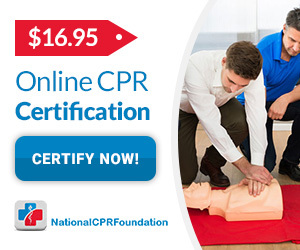 Typically, BLS acts as the foundation for extra knowledge that the ACLS course requires. On the other hand, ACLS is specifically designed for healthcare professionals only, such as nurses, physicians, paramedics, respiratory therapists, occupational therapists, dentists, anesthesiologists and more. There is a difference between how ACLS and BLS courses are offered and how certification is earned in each course. Typically, BLS course opportunities and certification are open to everyone in the general public. They are offered by public health organizations, local hospitals, and community centers. In most cases, the training takes only one day. The participants are required to attend the lectures, practice and demonstrate skills, and pass a short test or written quiz. The course certification is normally good for one year and is required for those whose jobs are linked in some way to possible health risks and crises. On the other hand, ACLS training is more intensive and is completed in a two-day course. Enrollment is restricted to individuals who have been involved in the healthcare industry already and can prove competency. The certification lasts for two years and recertification is done at the end of that period. In BLS, renewing the certificate just requires one to repeat the class and the test again. ACLS requires a re-upping that is a little bit different from the initial, basic class. Also, the content differs from the first one because the professionals that want the renewal are assumed to be frequently encountering situations that broaden their knowledge in the field. Another major difference relates to the skills and tools that are needed for one to be successful in each course. BLS is designed to be performed by any individual without any access to specialized equipment. The trainees are shown how to use their forearms and hands to make chest compressions and how to use fingers to clean the victim’s airway. They are also taught how to carry out rescue resuscitation using their mouths. While both courses teach how to use the automated external defibrillator (AED), ACLS includes this and much more. ACLS participants are taught how to use advanced tools like syringes, intubation bags, ECGs, glucose testing machines, cardiac monitors, emergency scenario algorithms and intravenous medications/drug delivery systems. These are tools that can be used to administer a patient who is in a critical condition. ACLS is based on the presumption that the individuals using ACLS are in hospital or clinical environments where these tools and equipment are readily available. The role and use of medications is a significant divergence point. BLS course does not involve medical discussions or pharmacological interventions. This is because most of the trainees are not qualified to meet the medical requirements that are needed to effectively and safely use the drugs in emergency situations. Therefore, a BLS certification does not guarantee the trainee any recommendations for administering drugs. In ACLS training, the main focus is solely on training the participants on how to correctly use hypodermic injections and intravenous drugs in emergency situations. During the ACLS course, trainees are taught about the multiple pharmaceutical medicines, the circumstances that need specific pharmaceuticals, the right dosages, and recommendations for the medications. In short, someone with ACLS training acquires knowledge of how to correctly use medical interventions while someone with a BLS credential does not get the same. Both BLS and ACLS have the core aim of providing immediate care to those in health emergencies. However, the main goal of BLS is stabilization, hence a healthcare background is not needed for one to take the BLS training. Having some medical know-how can be an added advantage while taking the BLS course but it is not a requirement. The same does not apply to ACLS because the course starts with the BLS basics. It provides a more detailed comprehensive plan that helps the participants to know how to administer the medications correctly. Before joining an ACLS course, one is therefore required to have completed the BLS course or have a medical knowledge background. For instance, there is a significant portion of the ACLS exam that covers the topic of reading and understanding the ECG results that are taught. BLS is the initial treatment step. The course helps individuals gain a basic knowledge of assisting a patient who needs immediate help. Anyone can take a BLS lesson, unlike the ACLS course which is specifically preferred by doctors, paramedic staff, and nurses. As discussed above, a BLS provider does not use needles and other medical devices to make skin cuts. Those trained in ACLS, on the other hand, give and administer medicines to the patients. The course training is also more comprehensive than the BLS training and it puts more emphasis on the importance of integration of timely life support with advanced cardiovascular interventions. All in all, both courses have a special place in their audiences. These are just some of the many differences between BLS and ACLS exams and material coursework. If you are still undecided on the choice that is best for you, reach out to us at National CPR Foundation with any questions or for clarification. We will be glad to give you the right direction and ensure that the medical certification that you choose is the precise option that will move your career forward.